What now for the space programme? Today saw the very last launch for the Space Shuttle programme, with the 33rd and final launch of the Atlantis at Cape Canaveral. The Space Shuttle programme has been in commission now for 30 years, with a total of 135 launches under it’s belt, and today sees it’s unfortunate end. Ironically, for most of today, I’ve been watching repeats of Star Trek: The Next Generation. With the shutting down of the Space Shuttle programme and Present Obama cancelling NASA’s Constellation programme, it makes me wonder if we will ever reach the technological achievements portrayed in Gene Roddenberry’s Star Trek franchise. The question on my lips now, as well as many others who look up to the stars in the hope that mankind can further explore the emptiness of space, is… What of the future of space exploration? We all knew that the Space Shuttle programme, as we knew it, wouldn’t be around forever. There’d be another type of craft we’d be using to get astronauts into space, followed by another, and another, and so on. It’s common for technology to be improved upon and replaced over time, so many have assumed the same would occur with NASA’s space programmes, that we would have a 2nd/3rd/4th/etc generation of Space Shuttles reaching further out into space. Now though, it’s difficult to see how we will proceed. In researching for this small article, I was surprised to find what NASA have in store for us. I must add that what I write here is based on research that I’ve performed on various different websites and, because of the differing figures, views, and opinions, it was difficult to come to any sort of conclusion, so I will apologise now if any of the details are wrong. There were a number of factors that lead to the demise of the Space Shuttle missions, and it didn’t surprise me that one of the most definitive of these was cost. The original plans for the Space Shuttle programme was to have a great deal more launches at a much reduced cost than before, because the spacecrafts were to be reused again and again. 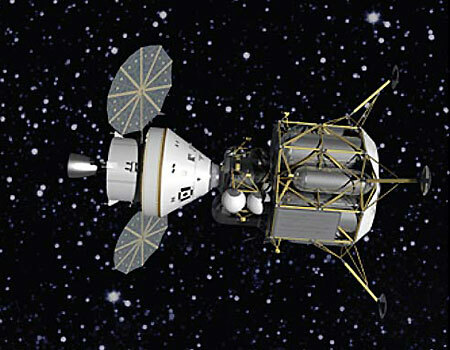 Sadly, the programme proved to be more costly than anticipated (at approximately $1.5 billion per launch, as opposed to the estimate of just under $60 million) and, with the current financial crisis, the US government probably concluded that it was a great deal of money that was (quite literally) being burnt up. The Constellation programme was to be NASA’s next step after the Space Shuttle programme, in order to further manned missions as far as Mars and beyond, however it had been running for way too long and gone way over budget. The programme was cancelled when President Obama signed the NASA Authorisation Act of 2010. When I first learnt of this, I thought this would be the end of manned space missions. However, upon reading into it further, it simply meant a redefinition of how we will further explore space. I was delighted to find that the NASA Authorisation Act secured financing for NASA’s missions up until 2013. That said, I have mixed feelings on the plans for the future of space exploration. Essentially, the plans that are laid out now are for manned missions, first to an asteroid by 2025, and then to Mars by the mid-2030’s. This is to be achieved, from what I can summise, by using rockets and modules. NASA claim these are based on the previous Space Shuttles, but in my opinion they bare a striking similarity in design to those used for the original Apollo missions back in the 60’s and 70’s. My mixed feelings come from my indetermination on whether this is actually a step backwards for the space programme or not. Of course, history has proven that this rocket and module approach is successful in getting astronauts into space and onto the Moon, and current technologies could very well allow us to use this same technique to take mankind to other worlds. Unless I’m missing something very important, the upcoming missions to an asteroid and to Mars, when you boil it down, are pretty much exactly the same as the missions to the Moon 40 years ago, with distance and timing being the only major differences. I can also see how sending these rockets and modules into space would be more cost effective than sending a bulky Space Shuttle, since they are smaller and lighter and hence need less fuel to get off the ground. There are positives for this approach, but I just can’t shake off the feeling that we’re going back to ideas that were utilised in the day when my parents were younger than I am now. The idea that first struck into my mind was a way of having a form of Space Shuttle that could comfortably take the astronauts to their destination. From there, they would use a derivative of the Altair lander to explore the planet’s surface, return to the shuttle and fly it home, landing safely back on Earth as we have come to expect from Space Shuttles. It seems though, that NASA scientists had already come up with something similar and, you’ve guessed it, cheaper. The idea was to have what NASA call the Earth Departure Stage in orbit around Earth, which will be used to take the Orion module and the Altair lander to their destination. If I understand the concept correctly, the plan was to launch the EDS into space and leave it in orbit around Earth until it was needed to take space crafts to other worlds. It’s not clear whether the EDS would’ve been disposed of after each mission, or if it was to be kept intact with the purpose of being refuelled and reused for future missions. You will notice I’m using past tense for this passage, because the EDS was part of the cancelled Constellation programme. I can’t be sure if a version of the EDS (or the EDS itself) still exists in NASA’s current programme. However, people who are well read up on the early Apollo missions will notice that this is very close to what was being used back in those days. I’m sure I’m missing something important though. Perhaps NASA had intentions to carry on with the original rocket and module style of space exploration all along, and the Space Shuttle programme was purely devised to make it more convenient to send astronauts to the International Space Station and back, since the original idea was to have a lot more launches than we actually had. Having a reusable spacecraft would be suitable for that kind of agenda. In fact, the Space Shuttle itself could have, in a way, been considered as a “step backwards” when it was first devised, since it wasn’t designed to take astronauts to other worlds. Perhaps some people are right, in that we’ve gone back to the earlier ideas and merely adapted them because they’re more cost effective. I can’t really comment further on any of this, as I would need a great deal more time to research everything before coming up with a conclusion. What I can conclude that the space programme is still going ahead. Today may be the last launch of a Space Shuttle as we know it, but NASA scientists haven’t given up just yet. They’re still looking ahead and trying to get mankind further into space, and steps are being taken now to take mankind to other worlds. I don’t pretend to fully understand everything that’s happening in the space programme. I merely have an interest in it. If I’ve got some of the details wrong, please kindly comment and I will change the article accordingly.